In an unprecedented move, Chief of Air Staff, Air Chief Marshal Birender Singh Dhanoa has written a personal letter to each officer in the Indian Air Force, asking them "to be prepared for operations with our present holdings, at a very short notice". The "sub-conventional threat" is said to be a reference to the proxy war by Pakistan, which is reflected in the increasing number of terror attacks on military camps and the rising public unrest in Jammu and Kashmir. The mention in the letter of "our present holdings" is an indication of the severe shortfall in the number of fighter squadrons with the IAF. The IAF is authorised 42 squadrons of fighter aircraft but its current holding is down to 33. A deal for 36 Rafale fighters, signed with France, and a decision to induct indigenous Tejas fighters will barely make up for the de-induction of the MIG series of fighters from the fleet. Asking officers to be "combat effective professionals", ACM Dhanoa writes that "there is no choice but to stay abreast of new technological advancements both own as well as that of our adversaries. Only then will we come out with war-winning, out of the box solutions." The letter also covered a range of issues from "favouritism" in the force to "sexual harassment". The letter reminds officers that "in the recent past, there have been instances and occasions where lack of professionalism has shown the IAF in poor light". Indulging in uncharacteristic plain speak, the IAF chief writes that "we have been witness to a few instances of 'favouritism' in selection of officers for prime assignments and promotions". "This is something we can ill afford," the letter reads. Pointing out that "officers holding responsible appointments tend to display 'Milk of Human Kindness' while dealing with those involved in wrongful practices", the letter warns that "abusive behaviour, resorting to physical intimidation and behaviour amounting to sexual harassment by seniors is not acceptable". This is the first time that an IAF chief has written a personal letter to all officers, although two Army chiefs - Field Marshal (then General) K M Cariappa on May 1, 1950 and General K Sundarji on February 1, 1986 - have penned similar missives. 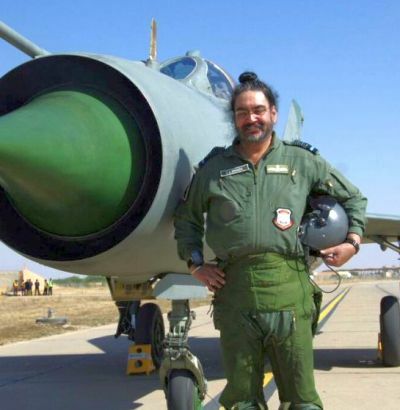 An IAF spokesperson, however, described the letter as "internal communication" and refused to comment on its contents. Will Super Hornets bridge IAF's 200-aircraft gap?